In terms of creating a safer, more unified society, banning veils will do more harm than good. The most important lesson I learned from my trip is that we're not that different. What separates the Muslim and Western worlds is our cultural and religious beliefs. If we, as Americans, decide to impose our values on Muslim immigrants in the name of assimilation or safety, it will only deepen the divide. Banning the veil would be a direct and offensive attack on Islam. While Americans may see the veil as simply a headscarf or modest covering, it holds much greater significance for Muslims. The veil is a highly contentious issue in the Muslim world, and should be debated by those directly affected. Whether women wear veils has no bearing on public safety in the United States. Banning them will do nothing to alleviate problems with Muslims living here. The tensions between Muslims and Westerners need to be addressed, but the veil is not the issue. We are in the middle of a war with no end in sight, and the threat of terrorism is something we are reminded about by the media and our government on a daily basis. Future generations of Americans will face a host of growing problems unless attempts are made to understand Muslim beliefs. Whether the motive is robbery or hate, Sikh taxi drivers at a safety forum in El Sobrante on Sunday reiterated long-standing complaints that they are frequent targets of crime in the greater Richmond area. Sunday's forum came two weeks after Musharaf Poswal, 48, of Rodeo was shot and killed in Richmond, but Sandhu and the drivers have been vocal about safety since two earlier crimes in Richmond. On July 2, 2003, Gurpreet Singh, 23, of Hercules was shot dead in his cab near 21st Street and Carlson Boulevard. On July 5, 2003, Inderjit Singh, 29, of El Sobrante was shot in the jaw on Roosevelt Avenue near 13th Street, where a dispatcher had sent him to pick up a fare. Gurpreet Singh, no relation to Inderjit Singh, had money, jewelry and a laptop computer when he was found. Sandhu said he believes Gurpreet Singh was the victim of a hate crime. Inderjit Singh's assailants never asked him for money, his brother said in 2003. "They will shoot you if you have money and they will shoot you if you don't have money," said Harjit Bains, owner of a Richmond cab company. On the first day, I was a filmmaker. With the help of Jessica Jenkins, our fabulous Director of Research, we screened Divided We Fall: Americans in the Aftermath before a small gathering in the beautiful space that is the Chapel of the Interchurch Center. It was an intimate setting and we had some good conversation afterward – as well as a number of invitations for future screenings: Philadelphia! Long Island! North Carolina! Michigan! Jess was busy scribbling down possibilities for the next stops on our national film tour. It was on the third and final day, however, when I was asked to speak on a panel called “Continuing the Legacy, Breaking New Ground,” that I had my own real break-through. 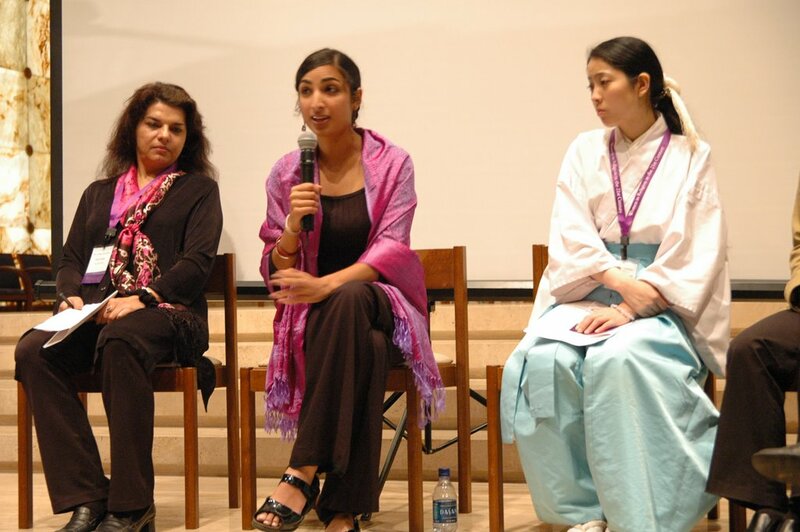 It was the first time I had articulated the problems facing Sikh women in the context of post-9/11 America. While other panelists spoke of the legacies they were continuing, I emphasized the very new place of Sikh women on the stage of American religious history. I had to draw up the courage to speak with honesty; I was reminded by what my dearest friend Irene once told me: “Speak even if your voice shakes.” Here is what I said. “I have thought long and hard about the framing for this talk and this conference: continuing the legacy. I have come to realize that for me, there is no legacy. I cannot remember any significant Sikh women leaders in American religious history. I can only draw upon the inspiration of my peers – Sikh women who are just now speaking as lawyers, scholars, and community leaders. We are blazing a path where there was none. It is often painful and sometimes extremely dangerous. “I deeply appreciate the common language that we can share as religious women at a conference like this, but I also feel as though I am an outsider here. The mainstream women’s movement in America speaks from a place of relative stability and security. Your fore-mothers have made great gains in the last hundred years: you have a legacy that you are continuing, and although your struggles continue to be new, you are drawing upon those gains. “I know a woman who stayed with her boyfriend for two years after 9/11, despite constant emotional abuse - she knew that part of her mistreatment came from his frustration as a turbaned Sikh man walking the streets to insults everyday. “And there is one woman I know who was called out to an empty park by a member of her family and threatened at gunpoint by a cousin who had molested her in their childhood. She escaped. Hours later, I asked her, ‘Why don’t you call the police?’ ‘I can’t call the police,’ she says. ‘How can I ask the police to show up at the house of a man with a turban and beard who has a loaded gun? They will see him as bin Laden in the flesh. They will pull the trigger on a sudden move; they will beat him in prison.’ I am reminded of the fear of black women in the inner-city unable to call the ‘white cops’ on their men. “What is the meaning of security in a post-9/11 world: what does security mean for a nation on high alert? for a community often targeted as the enemy in that nation? and for women in that community who cannot call the police? “I think back to Marion Masada, a woman I interviewed in the film. She was sexually assaulted as a child in the Japanese Internment camps by a man who released his abuse on her body. She was afraid for a long time after. The private and the public converge – the history of a nation and the history of a woman. People began to applaud slowly and then loudly. Many women told me afterward that they needed to hear this perspective. For me, the conference was a turning point in terms of connecting the struggles of Sikh American women with women from longer-standing American traditions. At the closing of the conference, a woman stood up and said: “We are making history. This is history.” This is how it felt. A starting point for me personally and Sikh women in general to join the larger faith-fueled feminist movement. It is new ground we are breaking… and just the beginning. Pictures by Bob Gore, the film's biggest fan - and biggest support - at the conference. A Danish court ruled Tuesday that it was illegal for a Sikh man to carry the 'kirpan' ceremonial knife that he traditionally gets at baptism. The six-panel court also ruled that the 18-centimetre knife should remain confiscated, although one of three lay judges wanted to hand the knife back to the defendant. Rather than seeking to address the larger alienation of mainstream Muslims, European leaders often appear to do the opposite -- by challenging the culture of Muslims and defending gratuitous insults of Islam. One recent but hardly isolated example came from Britain's House of Commons leader, Jack Straw, who criticized Muslim women for wearing veils and said he asked those who visited his office to remove them, on the grounds that they impede "communication." It's hard to believe that veils are the biggest obstacle to communication between British politicians and the country's Muslims; and it's even harder to imagine Mr. Straw raising similar objections about Sikh turbans or Orthodox Jewish dress. True, the Labor Party MP was reflecting -- or maybe pandering to -- the concern of many in Britain about the self-segregation of some Muslims. But veils -- which are also under government attack in France and Italy -- are not the cause of that segregation, much less of terrorism. Attacks on Muslim custom by public officials are more likely to reinforce than to ease the community's alienation. Mr. Straw and other European politicians could contribute far more to combating radical Islam if they focused on those who actually foment intolerance among European Muslims -- as well as those in the mainstream community who promote prejudice against Arabs and South Asians and their descendants. Muslims in Europe should be invited to embrace the countries where they live on their own terms. They should be expected to respect laws and freedoms. But politicians would do better to work on dismantling the barriers Muslims face in getting educations and jobs rather than those that distinguish Islam from the secular majority. Just as it is considered rude to enter a Balinese temple wearing shorts, so, too, is it considered rude, in a Western country, to hide one's face. We wear masks when we want to frighten, when we are in mourning or when we want to conceal our identities. To a Western child -- or even an adult -- a woman clad from head to toe in black looks like a ghost. Thieves and actors hide their faces in the West; honest people look you straight in the eye. Ginnnah Muhammad of Detroit was looking for her day in court. Instead, she said she felt as if a judge forced her to choose between her case and her religion in a small-claims dispute in Hamtramck District Court. A devout Muslim, she wore a niqab -- a scarf and veil to cover her face and head except for her eyes -- Oct. 11 as she contested a rental car company's charging her $2,750 to repair a vehicle after thieves broke into it. Judge Paul Paruk said he needed to see her face to judge her truthfulness and gave Muhammad, 42, a choice: take off the veil when testifying or the case would be dismissed. She kept the veil on. The FBI is offering a $5,000 reward for information leading to an arrest in what investigators are calling a hate crime. Someone set fire to the Sikh flag known as The Khanda, which is the emblem of the Sikh faith and belief at the Dasmesh Darbar Sikh Temple, 860 Oakhill Avenue SE in south Salem around 6:30 AM July 27th. The suspect(s) also ripped out flowers, a tree caught fire, the temple was damaged, and a bike was thrown onto the opposite side of the property. Anyone with information on this case is urged to contact the FBI at (503) 362-6601 or Salem police at (503) 588-TIPS. Racist fire bomber Mark Bulman has pleaded guilty to trying to start a blaze at the Broad Street mosque. The 22-year-old pleaded guilty to attempted arson at the Muslim place of worship as well as two counts of religiously aggravated criminal damage. As well as admitting the race hate offences he also admitted arson when he set light to a wooden gate on Broad Street during the same night. Imagine if a Canadian political leader was to advise devout Christians not to wear a cross if they wanted to be accepted by the rest of society. Or a devout Jew not to wear a yarmulke. A devout Sikh not to wear a turban. There would be outrage across the country, and rightly so. It wouldn't matter if this politician then said he wasn't suggesting anyone should be forced to remove the religious symbols of their faith. Just to do so in order to "fit in." Most Canadians, we hope, and not just those who are devout Christians, Jews, Sikhs or Muslims, would be deeply concerned about such a fundamental attack on freedom of religion. Imagine, then, the understandable unease of many Muslims, as a growing number of male politicians overseas have suddenly started advising religiously devout Muslim women against wearing a full veil over their face. British Prime Minister Tony Blair, former foreign secretary Jack Straw and Italian Prime Minister Romano Prodi, among others, have all come out in recent days arguing that if Muslim women want to fully adapt to their societies, they should ditch their veils. Our first question is why? Most Muslim women don't wear these veils, which cover all but a small portion of the face around the eyes. There are varying interpretations of whether the Koran actually requires it. Muslims hold different views on that issue, just as Christians, Sikhs, Jews and others disagree internally on the importance of wearing certain types of religious dress. Save for a few specific situations where making a physical identification of someone is vital -- say, when applying for a passport or driver's licence, or when police need to confirm someone's identity by checking what they look like against their photo-ID -- no devout Muslim woman should ever be pressured by anyone to remove her veil against her will. It's true that a Muslim woman who chooses to wear a full veil is choosing to set herself apart to some extent from the surrounding society -- but that's her right. The U.S. 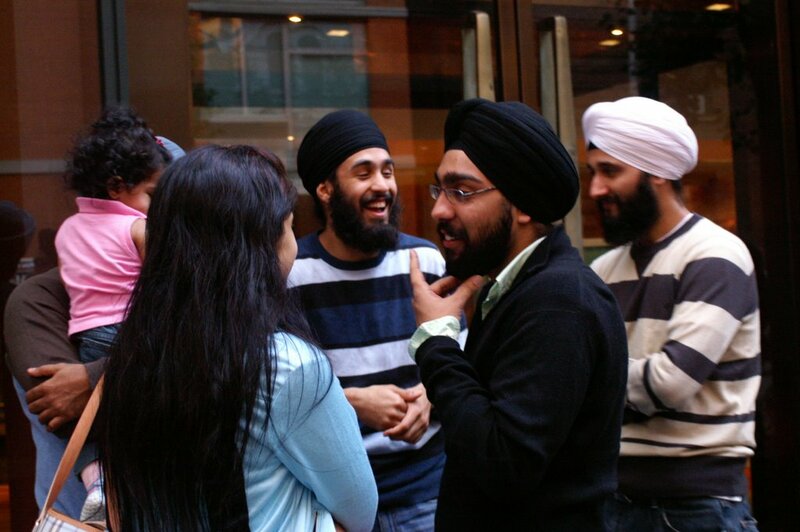 Equal Employment Opportunity (EEOC) issued a determination that National Wholesale Liquidators discriminated against a Sikh woman who was told to take off her turban and that Sikhs are “thieves and are nasty.” The Commission issued the finding after a year long investigation initiated when the victim in collaboration with the Sikh Coalition and a private attorney, Ravinder Singh (Bhalla),filed a charge of discrimination with the EEOC. The Sikh woman, Sukhvir Kaur, was ultimately fired from her job at a National Wholesale Liquidators store in Queens, New York. She had worked for National Wholesale Liquidators for over two years in the clothing department. In addition to speaking in derogatory terms about her religion and ethnicity, Ms. Kaur’s manager also told her to take off her turban because he liked women with long hair. He said also asked Ms. Kaur to wear western clothing it is tighter fitting and would look more attractive to him. A civil rights group is suing to force the release of documents that plaintiffs say might prove federal agents illegally discriminated against Arab-Americans and Muslims during a massive immigration sweep in 2004. The American-Arab Anti-Discrimination Committee filed the suit in federal court on Tuesday against the Department of Homeland Security (DHS) and its sub-agency US Immigration and Customs Enforcement (ICE). The Committee is demanding immediate disclosure of records detailing the national origin, ethnicity, race, religion and gender of 237 people detained by federal agents during the 2004 so-called "October Plan." According to an ICE press release, the initiative was "designed to locate immigration status violators who may pose an elevated criminal or national security threat." While the number of hate crimes in Maryland fell by about half in the last 10 years, according to FBI data, religiously-motivated crimes are on the rise as a percentage of reported incidents. While Maryland's falling incidence rate outpaced a 6 percent decline nationally in hate crimes last year, the state's police agencies reported the 10th highest incidence of hate crimes among the 48 states that contributed to the FBI's Uniform Crime Reporting Program. Maryland was included among nine states that accounted for 80 percent of all incidents of anti-Muslim violence, discrimination and harassment in the United States in 2005, according to a report released in September by the Council on American-Islamic Relations. Mewa Singh Bains, 82, and Shingara Singh Thandi, 79, died after they were beaten and robbed in separate incidents in Surrey's Bear Creek Park in the summer of 2005. "I heard banging and screaming," Tyler Rankin, 18, testified during the first day of the trial of two youths charged with murder, assault and robbery in the deaths of two elderly Sikhs who were attacked on successive days. Mr. Rankin said he could not understand the chilling words he heard. "They were in a different kind of language. It sounded East Indian." He ran away but saw his two friends shortly afterward. They told him: "We did it." Mr. Rankin told the court he had been hanging out with a group of friends in the park on July 18, 2005. They had the idea of going to fight with people "and jump [them] for money," he said, in a matter-of-fact tone. A Muslim correctional officer at the federal jail in Brooklyn was harassed by other guards following the September 11, 2001, terrorist attacks, according to a federal lawsuit filed recently in federal court in Brooklyn. The officer, Tarik Farag, claims his colleagues pelted him with insults, calling him "bin Laden" and accusing him of links to Al Qaeda, according to the legal complaint. The alleged harassment lasted through 2004. Mr. Farag began working for the U.S. Bureau of Prisons in 1998, serving both as a technician for the inmate telephone system and as a correctional officer, according to the lawsuit. He quit in February, citing a hostile work environment and the discrimination he faced, according to the complaint. Tony Blair has agreed that Muslims wearing veils is a "mark of separation" in society. In his first monthly press conference since Jack Straw sparked a row over the role of Muslims in the UK, the prime minister was repeatedly asked about veils, faith schools and extremism. "I think we need to have this debate in a sensitive way but as well as being about people preserving their distinctive identity it also about how people integrate into British society. "It is important that people who come to this country learn English, for example. "It is about getting the balance right and we need to have the debate in a sensible and serious way and even though people would not have chosen for the debate to have been started in this way it is a debate we need to have". Asked whether the veil was a barrier to integration, Blair said: "It is a mark of separation and that is why people from outside the Muslim community feel uncomfortable. "No-one wants to say that people don't have the right to do it that would be taking it too far but we do need to confront this issue of how we fully integrate people into this society. "All the evidence is that people who do integrate do achieve more. It is two years since France banned headscarves, veils and other religious signs from state schools. There were mass protests by French Muslims and dire warnings the new law would radicalise Islamic opinion and deepen already volatile divisions within French society. Some 120 schoolgirls initially defied the law and one 15-year-old beat the ban by shaving her head. Today, the ban on veils - which crucially extends to large Christian crosses, Jewish skullcaps and Sikh turbans - is accepted and obeyed. 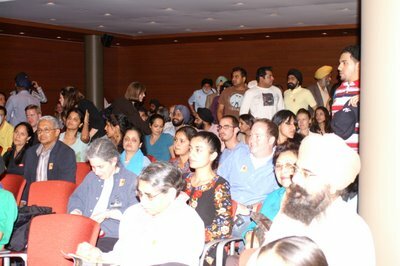 Since Sept. 11, 2001, Sikhs living in the United States have experienced discrimination and harassment. Recently the local Sikh community purchased time on a billboard on Interstate 78 to let more people know who they are. Unfortunately, with spray paint, that billboard was severely vandalized with very ugly messages. Heathrow check-in worker Nadia Eweida is on unpaid leave after refusing to cover up her cross necklace. "I believe that it is a very important issue on the matter of expressing Christianity and employees having their say in the way they express their faith," she said. British Airways says all jewellery and religious symbols on chains must be worn under the uniform. But it makes an exception for Sikh turbans and Muslim hijabs because they cannot be covered up. Mohinder Singh, wearing a royal blue turban and long white beard, sits behind a desk piled high with colorful Punjabi-language newspapers. Along with four other Sikhs, Mr. Singh, 57, was elected to the Queens County Democratic Committee in last month’s primary. The victory represented the first time Sikhs have been elected to public office anywhere in the city. But the only thing many Americans know about Sikhs, if they have heard of them at all, is that they look different. With their long beards and distinctive turbans, the men often resemble the images of Osama bin Laden that flash on television screens. Though Sikhs have no relation to fundamentalist Islam, their turbans and beards set off alarm bells about terrorism in the minds of many of their fellow Americans. But their unusual appearance is one of the things that encourage Sikhs to get involved in politics. Instances of bias reported to the Sikh Coalition range from stabbings that occur outside the victims’ homes to the refusal by vendors to print T-shirts emblazoned with images of gurus and martyrs from Sikh history. After premiering in Phoenix and New York, we made our BOSTON PREMIERE at Tufts University on October 25, hosted by the Asian American Center. It was a full audience once again, but this time, it was made up mostly of college students, many of whom experienced 9/11 as freshmen in high school. Linell Yugawa, our gracious host and director of the Asian American Center, introduced us. We introduced Divided We Fall: Americans in the Aftermath. And it began. This time, Sharat and I sat in the back to listen to the audience. They were quieter than previous crowds, but I think it’s because we saw so many diligently taking notes. It was then that I realized how our film captures a critical moment in American history –unraveling complex themes on race relations, religion, political security, historical discrimination and the possibility for pluralism – in other words, ripe for study in classrooms. After the film, rather then rushing through a Q&A, we had nearly a half an hour to respond to questions from both students and professors. We first recognized our friends in the audience: Deonnie Moodie (my dear friend, roommate, travel companion and oh yes, the film's story consultant), Chris Byrnes (part of the DWF Dialogue Project committed to creating curriculum for the film and our photographer that night), Kathryn Lohre (representing the Pluralism Project, a long-time supporter), Michelle Goldhaber (a beautiful friend who is like sunshine) and M. Christian Green (my professor at Harvard Divinity School who like Kathryn and Michelle, offered feedback on early versions of the film). The discussion included the future plans for the film, the limits and powers of storytelling to transform rigid ideas about others, the Sikh community's position on forgiveness, what Sharat and I worry about, and what brings us hope. One student asked, "What was part of the motive for Sher Singh's arrest?" Sher Singh, whose story is told in the film, was the first person to be arrested as a suspected terrorist in Providence, RI - arrested for his 'suspicious appearance' alone. Sher Singh is a Sikh who wears a turban and carries a kirpan. "Many people believe that the mayor of Providence wanted to be the first to produce a suspected terrrorist," I responded. Amarpreet Singh Sawhney (pictured), a member of the local Sikh community in Boston, stood up to share his part in the story. He had written to the mayor after the incident to explain that he had targeted an innocent community. The mayor wrote a letter of apology, which Amarpreet then delivered to Sher. The remarkable thing about the stories in our film is that they involve the audience, sometimes in very real ways, so that one question by an audience member oftentimes can be answered by another audience member. This is what makes me so hopeful about the film's ability to cultivate real dialogue. 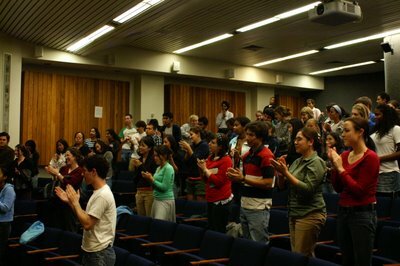 Our discussion ended with the crowd standing to applaud the film and its message – our third standing ovation – but the discussion was far from over. 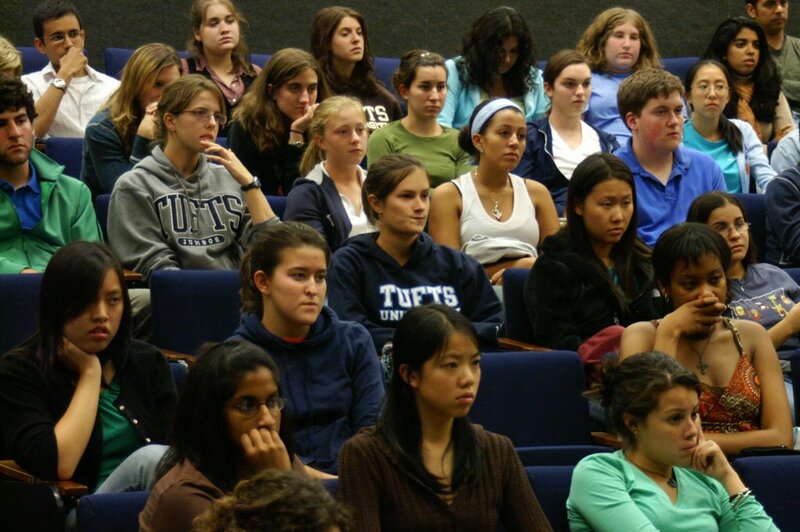 It spilled out into the reception, where Sharat and I talked a long time with Tufts freshmen and sophomores. A few days after the screening, Linell Yugawa wrote to tell me that there was so much buzz on campus after the film, they would be holding a follow-up discussion for students. The invitation to the discussion read: "This film, shown on campus on 9/25, had an emotional impact on many in the Tufts community. The issues raised in the film prompted many of us to reflect on our personal experiences. If you saw the film and have thoughts and feelings you’d like to share, join us for a conversation and light supper!" Tonight I sat with a group of twenty Tufts students in the Asian American Center, balancing plates of food on our knees. They were there to share their thoughts. I was there to listen. For the next few hours, everyone spoke spontaneously, in turn, sharing incredibly raw stories and moving reflections. Across the room, another woman began to speak. “My name is Meena, and I’m a graduate student and resident director. I had to leave immediately after watching the film, because I was so emotional: I was watching my life on the screen! When I was in high school, I had a cross burned on my lawn. The worst thing about it was the total lack of outrage expressed. People said, 'Why should you even care? You aren't black.' I’ve been carrying around so much anger inside of me, and I didn't realize it until watching the film. I feel just like Nitasha Sawhney when she says at the end of the film, ‘People ask me where I’m from. I’m from Huntington Beach, California – that’s where I’m from!’"
Meena's friend responded: "The film made me realize that there is nowhere you can hide, no place you are truly safe from discrimination. The core of ideology must change: no matter what race, gender, sexual orientation, we’re all American." A Tufts senior spoke up: "I grew up seven miles outside of New York City and saw the second plane hit the tower from the window of my calculus class. It was very real. And then there were attacks on Indian families, but my community was not united in responding to hate crimes. For the first time, I saw parts of my life in the film." A sophomore followed: "My name is Mae-Ling, and I’m half Philippine, half Ghanan. I am seen as a foreigner in both cultures, so I could really relate to Valarie’s story in the film. When I came to America, I only knew about white and black relations, and maybe Latino, but I had no idea where Asian Americans fit. Our age group, teenagers like me, are trying to figure out how to respond to things like this, so it was really good for us to relate to Valarie and her journey as a young person in the world." "I was in high school when 9/11 happened," another sophomore said. "And as soon as I found out, I hoped it was not Muslims. Then 'oh God, here it comes.' People from my mosque and community were attacked, and I realized that the world is not such a nice place. My religion and culture were hijacked along with those planes that day. I did not feel that I was part of the vision that everyone had for America. But I can’t go anywhere! I’m just as American as anyone else." And then, turning to me, "Thank you for making this film." After everyone spoke, the discussion opened up into the power of stories to challenge the "constant otherization," as one student put it, both socially and politically. "The stories make you see how the political is on the playground, the street, everywhere," added a professor of English. Linell addressed the pressure on Asian Americans to "keep quiet" and not to express rage - but that rage is important if it's a source of creative protest. "Who are we? Are we a melting pot?" someone asked. Looking around at all the different backgrounds and perspectives in the room, I offered, "Perhaps a mosaic." It was an incredible night for me – for the first time, I was able to hear all the different ways the film spoke to different people. The nights of endless work over the past five years were worth it for just this one moment – to hear people tell their own stories. The film is meant to inspire storytelling; it is presented with the conviction that storytelling can break down the boundaries that divide us. And tonight was a testament to that. Everyone in that room came from different places - both literal and figurative - yet the film opened up a space where they could all speak candidly about who we are – as Americans – and who we want to be. 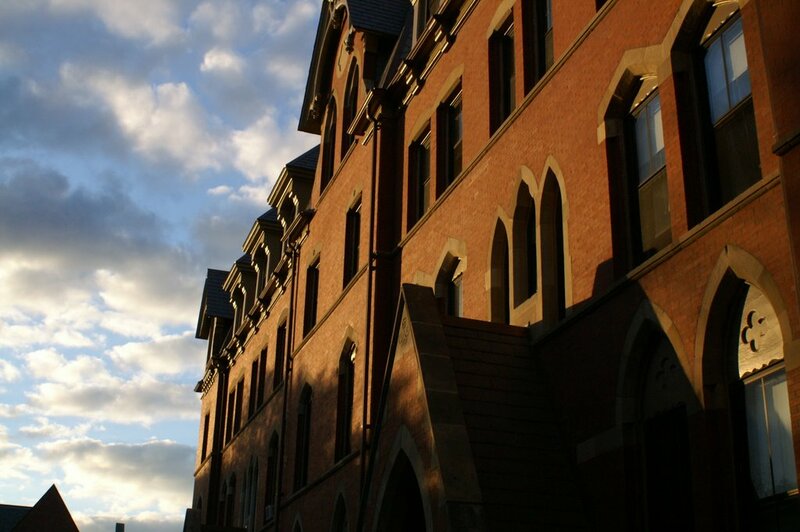 Thanks to all the students at Tufts who had the courage to speak up in their own way. After another screening in New York City next week, we embark on a entire college tour in Illinois...! How should a constitutional democracy deal with organized non-state terrorists? [Professor John] Yoo's analysis went essentially as follows: The law of war does not, and should not, entitle people who deliberately blend in with and attack civilians to the privileges of lawful combatants. But the ordinary criminal justice system--utilizing civilian jurors and the full panoply of procedural rights--is ill-suited to deal with international terrorists. Accordingly, the President in proposing, and Congress in passing, the MCA were right to rely on military commissions. Although Yoo asked the right question, he--and the politicians with whom he agrees--framed the debate as a false choice. For one thing, it is hardly obvious that the criminal justice system is, in fact, inadequate for trying accused terrorists. The Justice Department has a perfect record of convicting al Qaeda and affiliated terrorists, and before 9/11, it did not occur to anyone that the procedures developed by the courts for handling classified information and security risks were inadequate. Terrorists, such as those who bombed the World Trade Center in 1993, had been tried, and convicted, in civilian federal courts before. Even after 9/11, the government obtained a conviction of and life sentence for Zacarias Moussaoui in civilian court. To be sure, the federal courts undoubtedly lack the capacity to try everybody that the United States detains in every military conflict around the world, but no one has suggested that all such people would be tried. Even now, five years into the conflicts, the Administration has announced plans to try only a tiny handful of the people it has detained. The vast majority have either been released, or are being held indefinitely-- either pending the location of a suitable country for deportation, or while military conflict persists. No one has explained why the federal courts could not handle one or two dozen trials of those persons accused of offenses. The military commissions established by the MCA differ from courts martial in a number of key respects. Most conspicuously, the military commissions will use relaxed rules concerning the admission of evidence, including some otherwise excludable hearsay and evidence obtained by coercion, and except for a limited list of procedural guarantees, the MCA requires the military commissions to comply with the rules used by courts martial only to the extent that the Secretary of Defense considers such rules to be practicable and consistent with security considerations. These are not mere technical matters. The procedural protections of courts martial that the military commissions discard play an important role in preventing and remedying erroneous convictions of innocent people. Yet here too, proponents of military commissions have offered no persuasive justification for abandoning courts martial. The move from courts martial to military commissions imposes serious costs on the accused while yielding marginal if any benefits for society. As Justice Kennedy noted in his concurrence in Hamdan, courts martial are fully capable of trying cases involving terrorism suspects without compromising national security: After all, they have long-established procedures for handling the use of classified information, including admitting into evidence a declassified summary of the contents of the classified report. Although torture and related maltreatment remain federal crimes under the MCA, alien victims of torture who are declared by the executive to be enemy combatants have no ability to bring their claims to court. Section 7 of the MCA eliminates the right of habeas corpus and the right to bring a petition challenging "any other action [by] the United States or its agents relating to any aspect of the detention, transfer, treatment, trial or conditions of confinement of" such persons. Under the terms of the MCA, then, the government could declare a permanent resident alien--including someone who has been residing lawfully in the United States for decades--to be an enemy combatant, and lock him up, potentially forever. That alien--who could be your neighbor--would never have an opportunity to challenge his detention or treatment in a U.S. court. To be sure, if the government provides someone declared to be an enemy combatant with a combatant status review tribunal (CSRT), then the DTA authorizes judicial review of that determination. And the MCA does amend the DTA for the better in one important respect: Whereas the DTA only authorized civilian judicial review of CSRT determinations for detainees at Guantanamo, under the MCA, a person held by the United States pursuant to a CSRT anywhere in the world can appeal the CSRT's ruling to a civilian federal court. But, there is no statutory requirement that the government ever utilize a CSRT-and absent a CSRT ruling, there is no access to civilian court. Thus, under the terms of the DTA as amended by the MCA, there would be no access to a civilian court whatsoever, even if the detainee were held within the United States, so long as the government determined that he or she were an unlawful enemy combatant by some means other than using a CSRT. And at least to that extent, the MCA should be judged unconstitutional as a de facto suspension of the privilege of the writ of habeas corpus. Article I, Section 9 permits Congress to suspend the privilege of the writ of habeas corpus "when in Cases of Rebellion or Invasion the public Safety may require it." Public safety may require that the writ be suspended in an active war zone where courts cannot function. But the DTA and MCA apply everywhere. In the public debate surrounding the treatment of detainees, and in the email I receive from time to time from incensed readers, proponents of the Administration's position frequently question the application of norms of due process to terrorists who themselves engage in barbaric acts. Humane treatment for people who deliberately behead and blow up innocent civilians will not, they argue, lead to better treatment of our own personnel. There is something to this argument but it ultimately misses three important points. First, we observe norms of humane treatment in part because of who we are. Just as we do not permit cruel and unusual punishment of domestic prisoners--even those who have committed sadistic crimes--so we should not commit similar acts against people from foreign lands. Second, the reciprocity argument conceives our national interest far too narrowly. The reason to abide by the Geneva Conventions with respect to al Qaeda captives is not because we believe that al Qaeda will therefore reciprocate by treating our personnel well. The reason is that people who are not now our active enemies will be more likely to take up the jihadi cause against us if we confirm their view that the United States aims to persecute Muslims. Even where there is no hope for reciprocal treatment of Americans, disregard of international standards for treatment of detainees undermines our security by losing hearts and minds throughout the world. As the government's own recently declassified National Intelligence Estimate confirms, this is a very real phenomenon. Third, due process rights are not rights for terrorists but for people accused of being terrorists. Despite Administration claims that Guantanamo detainees are "the worst of the worst," the government has already admitted that numerous people it formerly held in fact posed no great danger. Some of these--like Yaser Hamdi, the subject of the Supreme Court case Hamdi v. Rumsfeld, or the Tipton Three, the subject of the docudrama "The Road to Guantanamo"--have simply been sent back to their home countries, or other places abroad. Quebec is looking to improve the way religious, cultural and linguistic differences are integrated into its schools. Education Minister Jean-Marc Fournier announced yesterday the creation of a committee to look into the principle of "reasonable accommodation," with a report due in June. Bergman Fleury, an intercultural education consultant who worked for the Commission scolaire de Montreal, will head the panel of experts. A key task will be to come up with a definition of "reasonable accommodation" that strikes a balance between personal convictions and the laws, values and traditions of Quebec. "It's a matter of ensuring that all youth receive the education they are entitled to while respecting their convictions," Fournier told a news conference during a Liberal Party caucus meeting in Longueuil. Part of the committee's mandate is to come up with guidelines and tools to help education officials meet increasingly complex demands without seeming insensitive or, worse, risk being hauled before the courts. The amicus brief is available here. Thanks to the Sikh Coalition for making this brief available. Today, the civil rights groups Asian American Justice Center (AAJC) and Asian American Legal Defense and Education Fund (AALDEF), with educational and advocacy groups nationwide, filed amicus briefs in the United States Supreme Court in support of voluntary racial integration in the cases of Meredith v. Jefferson County Board of Education, et al., and Parents Involved in Community Schools v. Seattle School District No. 1. In both cases, locally elected school boards recognized that longstanding patterns of residential segregation, coupled with the withdrawal of court supervision over school desegregation, have produced schools artificially isolated by race that fail to reflect the diversity of their communities. In response, the school districts of Seattle, Washington and Louisville, Kentucky voluntarily adopted measures to take race—among other factors—into account in kindergarten to 12th-grade school assignments. “These schools have chosen to take a proactive step in creating an integrated educational environment. Asian American students, just as all students, reap the benefit of an integrated education and become better prepared to enter an increasingly diverse world,” said Aimee Baldillo, AAJC’s director of programs. “The Seattle plan took into account the segregated populations of the city and chose to uphold the principles of integration and equality that came forth from Brown v. Board of Education. Schools should be able to take such things into account in trying to achieve equal access to education,” she stated. AALDEF staff attorney Khin Mai Aung said, “In recent decades, Asian American student populations have grown tremendously—most rapidly in urban school districts with high minority enrollment. Asian American students and youth advocates believe that a racially diverse student body has irreplaceable benefits. We support school districts' efforts to battle segregation by using race, along with other factors, in public school assignments." Copies of the Amici Curiae are available for download at www.aaldef.org/docs/ and www.advancingequality.org/files/AAJC_AmicusBrief_10606.pdf. Terrorism, racism and violence pushed Rano Singh into politics. The Democratic candidate for state treasurer said the shooting death of a fellow Sikh, gas-station owner Balbir Singh Sodhi of Mesa, after the Sept. 11, 2001, terror attacks "catapulted me into public service." She joined the state attorney general's Hate Crimes Task Force that year, became president of the India Association of Phoenix and in 2002, was appointed by Gov. Janet Napolitano to the Citizens Finance Review Commission. 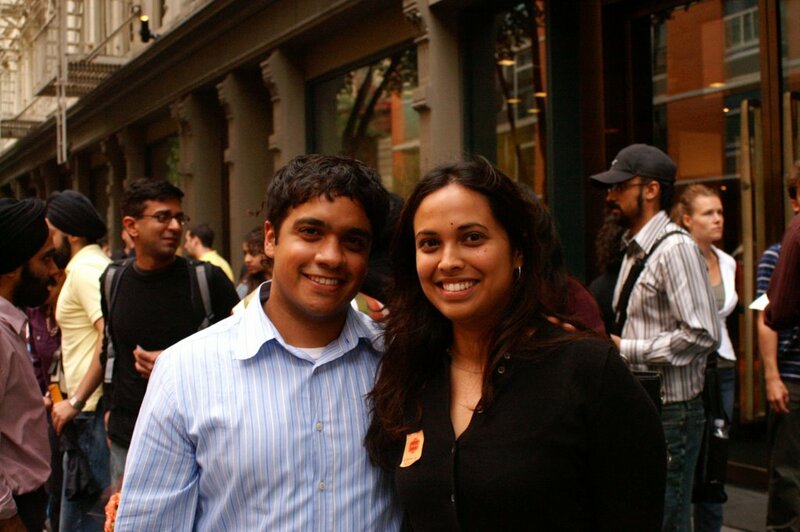 In 2004, Singh ran for the state Legislature. Following the July 2005 bombings in London undertaken by U.K. Muslims, attention has focused on how well U.S. Muslims are integrated into society. Assessing Muslim integration is important, both as a measure of whether the U.S. remains a hospitable place for immigrants and in order to measure the risk of "home-grown" terrorism. In Europe, the combination of extremist imams, pockets of social deprivation and impressionable male youths has proved deadly. However, while the U.S. Muslim population is largely young and male, it is also comparatively wealthy, well-educated and integrated into the general population. There are few signs of radicalization among U.S. first- and second-generation Muslim immigrants. Walking in the terminal. Happy kids with their families. I'm a loner. People staring at me. Parents, grandparents afraid of what they are staring at. Concerned, they call security. For a moment, I thought about running. I was afraid. "We need to search you, standard procedure." They searched me. I looked suspicious because I look different. I don't fit the "standards." I missed my flight. This always happens to me. I just want it to stop. 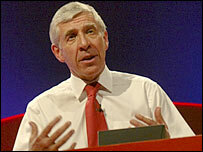 Cabinet Minister Jack Straw has said he would prefer Muslim women not to wear veils which cover the face. The Commons leader said he did not want to be "prescriptive" but he believed that covering people's faces could make community relations more difficult. Mr Straw has said he asks Muslim women at his Blackburn constituency surgeries if they would mind removing veils. "Communities are bound together partly by informal chance relations between strangers - people being able to acknowledge each other in the street or being able pass the time of day," he said. "That's made more difficult if people are wearing a veil. That's just a fact of life. "I understand the concerns but I hope, however, there can be a mature debate about this. 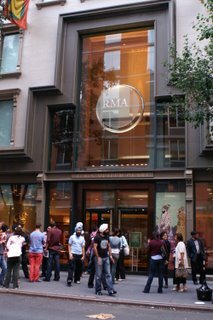 A few days after our world premiere in Phoenix, we headed east for our New York premiere at the beautiful Rubin Museum of Art in Manhattan as part of the Sikh Arts and Film Festival. 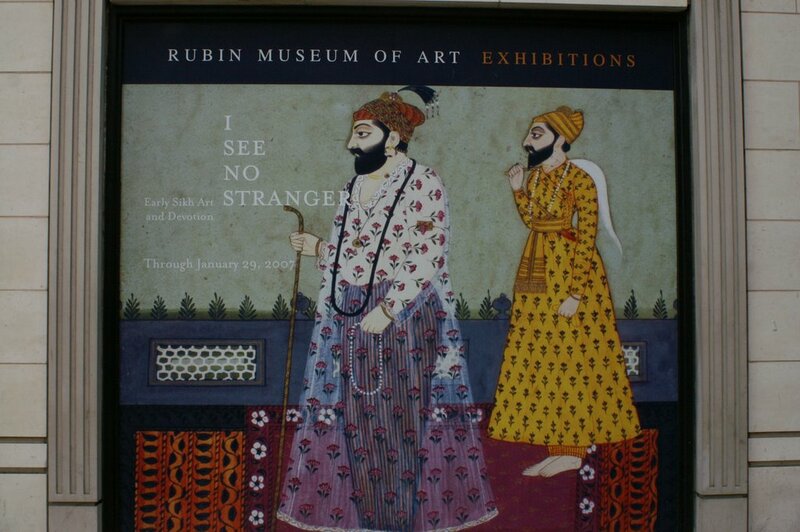 We arrived early to wander the sixth floor of the museum and admire the New York Times-acclaimed Sikh art exhibit “I See No Stranger" - a breathtaking presentation of early Sikh devotional art emphasizing Guru Nanak's message of the deep interconnectedness between all people. We then entered the theater downstairs to introduce our film Divided We Fall: Americans in the Aftermath to a full house. 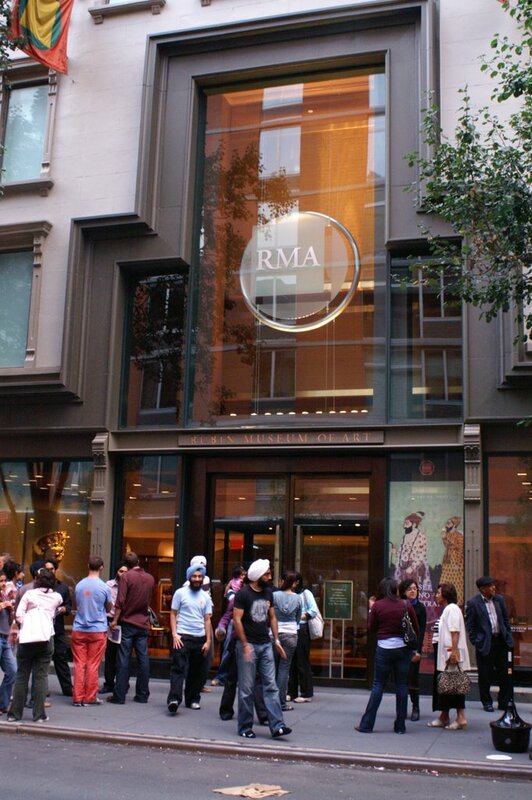 It was a Sunday afternoon and it seemed that everyone we knew in New York was there. 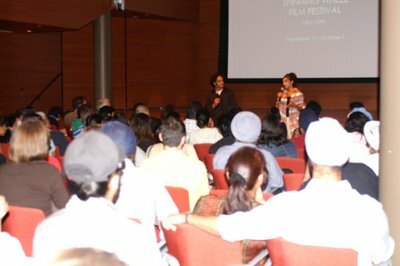 Our families, friends from college and high school, people who worked on the film, people in the film, even a few celebrities (the stars of Sharat’s previous film American Made, SAKINA JAFFREY and KAL PENN), all packed into a theater meant to hold 150. We introduced the film, sat in front and waited for our film to make its second-ever screening. As the film began, I listened closely to the audience. I am in the habit now. I have begun to understand that an audience is like a single living organism – it moves and breathes – it laughs at once and cries at once. There is no way to predict just how an audience will react to certain images and lines or why. Every audience is different. And so the film is always different. There is always a dynamic exchange – a secret one – between storytellers and their audience. And this audience was loud – they laughed hard and held their breath together and sighed together, and we loved it. At the end, the instant the lights came up, the audience began applauding and rose together in a resounding standing ovation. 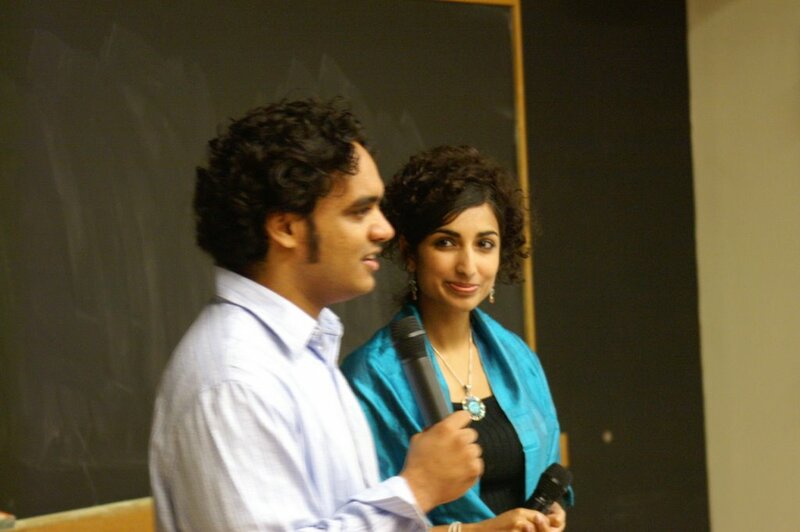 Sharat and I were dazzled as we took the stage. Looking out into the sea of faces, there were friends we knew and friends we had never met joining together to commend us. I had to thank them through watery eyes. In that room, there were no strangers. We recognized two people in the crowd who had shared their stories in the film: MANPREET SINGH, who had been profiled at an airport, and AMARDEEP SINGH BHALLA, Legal Director of the Sikh Coalition, our personal hero who fights battles against discrimination in his job everyday. We also recognized our crew members: JESSICA JENKINS, Director of Research, CHRIS BYRNES, the newest member of the DWF Dialogue Project, and TIM FORREST, our sound technician who drove from New Jersey to surprise us. And we thanked our families – Sharat’s parents TONSE and VIDYA RAJU, associate producers who made the completion of the film possible, Sharat's brother MANU and cousin RACHANA, and my aunt and uncle CHITRANJAN and JAS BRAR and lovely cousin ANIKA (who appears in the film as a baby!). Then came a lively Q&A. 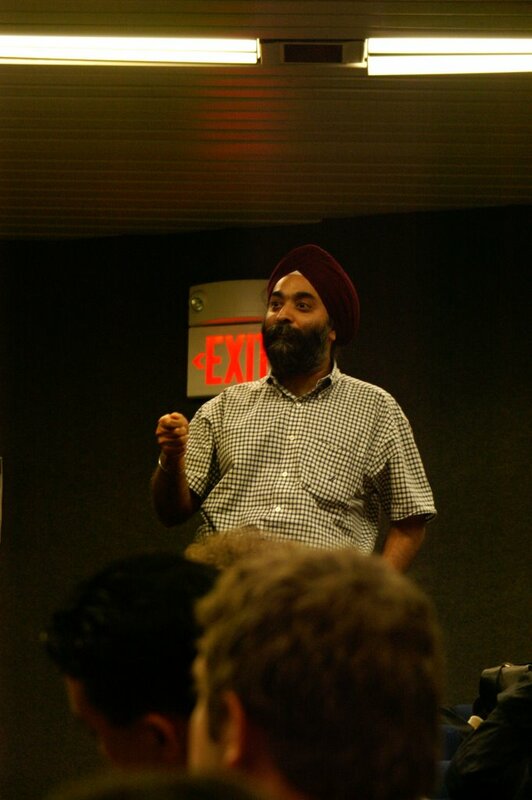 Our first question was about the present experiences of Sikh Americans five years after 9/11. Sharat waved to Amardeep and his wife DILLY, who shared a story. 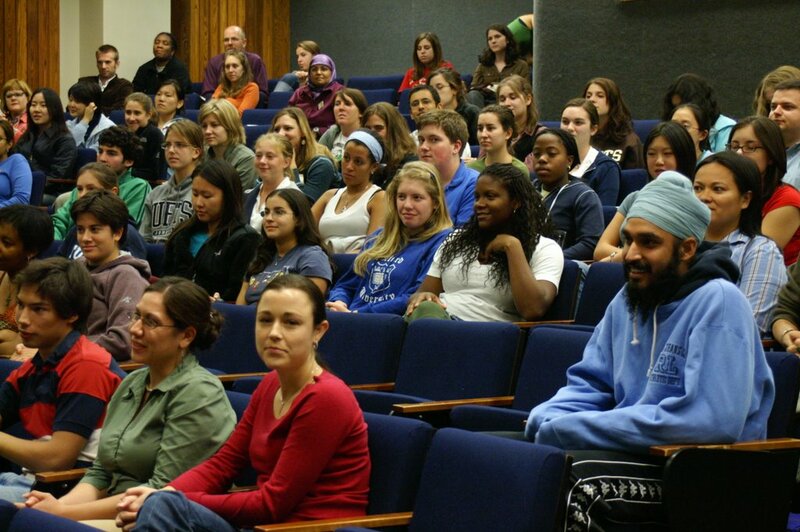 On their drive to the theater, they had spotted a diversity billboard showing a turbaned Sikh. Their hearts leapt, but just at that instant, they spotted the graffiti sprayed all over it: “Go back to your country.” The billboard graffiti may not count as a serious “hate crime” yet it’s one of many subtle daily encounters with discrimination that have become part of post-9/11 American culture. We hope stories like those in our film can help engage and transform that culture by asking us to reflect on who we see as an American, an enemy, a friend, a stranger. When the formal Q&A ended, the informal conversations began. 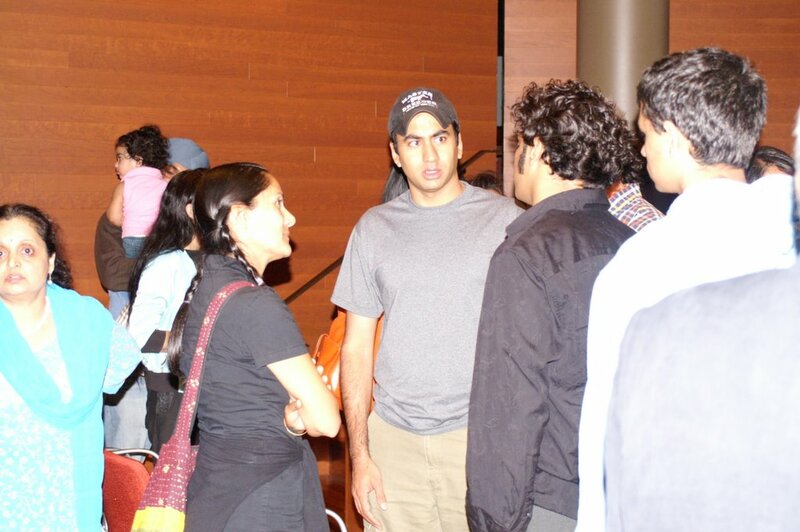 (Here is Sharat talking with Kal and Sakina). The buzzing crowds took over the theater and spilled out into the halls and then the street in front of the museum until we all ended up in a restaurant down the block. We celebrated everything we thought was good in the world, including the engagement of two of our favorite people, Sharat’s brother MANU and our beautiful friend ARCHANA MEHTA, who both drove up from DC to join us. Check our national film tour schedule to catch us at upcoming premieres, including another screening in New York in October! Some two weeks ago a copy of Quran from the Pace University was found in the toilet of the library bathroom. Tuesday students organized a forum to discuss the incidents, which they say are unheard of on the Pace campus. Complaints of discrimination, harassment and violence against Muslims jumped over 30 percent in 2005 from the previous year, according to a report released Sept. 18 by the Council on American-Islamic Relations (CAIR), the nation’s largest Muslim organization. 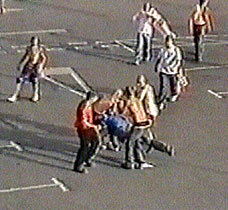 A total of 1,972 such incidents were reported in 2005. That was the highest number since CAIR began reporting anti-Muslim incidents in 1995, the year that the bombing by right-wing extremists of the federal government building in Oklahoma City, blamed initially by the mass media on Arab radicals, set off a rash of anti-Muslim attacks. Despite educational outreach programs, sensitivity training and cross-cultural soul searching in the wake of the Sept. 11 attacks, a recent report has found anti-Muslim bias attacks are at an all-time high. The Council on American-Islamic Relations, a nationwide nonprofit Islamic civil liberties organization, showed a nearly 30 percent increase in anti-Muslim bias incidents between 2004 and 2005, the highest number of complaints since the group started compiling statistics more than a decade ago. "The primary reason is there is still rising anti-Muslim sentiment, and Islamaphobia is becoming more institutionalized," [Arsalan Iftikhar, CAIR's national legal director,] said. "You hear a lot more anti-Muslim rhetoric in media outlets, and Muslim-bashing has sort of become the acceptable racism in this country now." Amal Elrafei, who works at the Arab-American Anti-Discrimination Committee in Clifton, said the recent CAIR findings reflected her own experience with racial profiling this summer. Elrafei, an American citizen, was returning from her native Egypt with her three children in August when she said she was detained with more than 200 other passengers at John F. Kennedy International Airport in New York. The group was held for more than four hours, with no information as to why they were being detained and no access to phones to contact worried family members waiting outside, according to Elrafei. Elrafei said it was the offensive way she and others were treated by airport security officials who prompted her to file a complaint with the Department of Homeland Security's Office for Civil Rights and Civil Liberties. A billboard designed to educate drivers on Interstate 78 about Sikhism, an Indian religion that Americans often confuse with Islam, has been removed after it was marred by profanity aimed at Muslims. "Arabs go to hell," someone wrote across the billboard in black, along with "Jesus Saves," "Hell Yeah USA" and a four-letter expletive directed at "Alah." Muslims pray to Allah, which is Arabic for God. The vandalism in Berks County came as midstate police were investigating threatening letters and e-mails sent to Muslims in the Harrisburg and York areas. The Pennsylvania Human Relations Commission said Friday there have been "at least seven" such messages in the past two months. Police have released horrifying images of brutal assault on a defenceless man whose only crime was being unlucky enough to be in their path. No doubt fuelled by booze and angry after Englands defeat at the hands of Portugal during the World Cup the gang of men were clearly in the mood for trouble - and they found it. Crossing the West Quay retail park in Southampton having watched the match at the Leisure World complex across the road, the group were heading towards the city centre. It is there they happened to meet a 22-year-old Asian man who was also walking across the car park with his brother-in-law after watching the game themselves. Possibly mistaking him for being Portuguese, the gang singled out the victim and after hurling racial abuse began chasing and attacking him. Hopelessly outnumbered and now separated from his brother-in-law the 22-year-old was circled, beaten and kicked in the head several times before his body dropped to the ground, unconscious. Investigating officer DC Stuart Pearson said: "Remarkably physically he wasnt too badly injured but mentally it is going to leave a scar on him." "Anytime there's anything in the news … that is related to the Middle East, you see a spike in hate-motivated and employment-related incidents," said Kareem Shora, director of the legal department of the American-Arab Anti-Discrimination Committee. After 9/11, the EEOC introduced a category of employment discrimination against people who are or are perceived to be Arab, Muslim, Middle Eastern, South Asian or Sikh. Nationwide statistics from the EEOC indicate that such complaints — so far exceeding 1,000 — have decreased each year since 2002. On September 25, 2006, the Committee on International Human Rights of the New York City Bar Association released a report, Anti-Terrorism and Security Laws in India, calling on the Indian government to limit its application of anti-terrorism laws. The 135-page report, based on extensive research and a two-week trip to India, provides a thorough analysis of the use and effectiveness of anti-terrorism laws in India, and the need for reform of the Indian police and criminal justice system in order to prevent further human rights violations. Anil Kalhan, Visiting Assistant Professor at Fordham University School of Law, serves as chairman of the committee’s India project. During their two week trip, project participants met with attorneys, government officials, detainees and their families, scholars, and human rights defenders throughout India. (1) constitutional provisions and statutes authorizing the declaration of formal states of emergency and the use of special powers during those declared periods, (2) constitutional provisions and statutes authorizing preventive detention during non-emergency periods, and (3) substantive criminal laws, such as TADA [Terrorist and Disruptive Activities (Prevention) Act], POTA [Prevention of Terrorism Act], and UAPA [Unlawful Activities (Prevention) Act], which define terrorism- and other security-related offenses and establish special rules to adjudicate them during non-emergency periods. Considerable evidence suggests that in its application, TADA’s sweeping powers were used predominantly not to prosecute and punish actual terrorists, but rather as a tool that enabled pervasive use of preventive detention and a variety of abuses by the police, including extortion and torture. In Punjab, advocates extensively documented evidence that thousands of individuals, virtually all of them Sikh, had been arbitrarily arrested under TADA and detained for prolonged periods without being told the charges against them. The availability of TADA’s provisions as a means of coercion also helped facilitate many of the other well documented human rights violations by the police. Only less than one percent of the 14,557 individuals detained under TADA in Punjab were convicted. Similar violations occurred throughout India in the application of TADA. The report highlights major human rights concerns with the anti-terrorism laws, such as overly broad and ambiguous definitions of terrorism, the use of special courts that infringe on the right to a fair trial, and broad immunities from prosecution for government officials that obstruct victims’ right to an effective remedy, among other problems. The Association praises India for repealing the Prevention of Terrorism Act (POTA) in 2005 and taking steps to limit its use, but highlights concerns from the continued retroactive application of POTA. Further, the government of India preserved key provisions from POTA in amendments to the Unlawful Activities (Prevention) Act of 1967. The authors further highlight the lack of effective mechanisms in India to ensure police accountability for human rights violations. In its recommendations to improve these mechanisms, the Association includes protection of lawyers and human rights defenders, the elimination of provisions granting official immunity, and the elimination of the requirement of prosecution sanction, among others. The Association insists on the need for further transformation of India’s criminal justice and police institutions in order to alleviate the pressure to enact anti-terrorism laws and fully address the human rights concerns.